A dying man teaches his son to walk alone so that he can hold the family together afterwards. Before I start my review of Anees Salim’s fifth novel, The Small-Town Sea, I have a reminder for sadness. Sadness, the next time you decide to come to me, make sure you have crossed paths with Anees Salim before you catch up with me. I – or anyone, for that matter – cannot avoid sadness. At some point in our lives, we have to be touched by sadness, and I want to be touched by a sadness that is Anees Salimesque (if I could invent a term like this). There should be beauty and humour in my sadness. My sadness should have a taste – maybe “a dry, citrous tang”, like Salim’s sadness has in his novel – so that I would be able to savour my sadness as long as it lasts and not just wish it away. The Small-Town Sea is, as the title suggests, set in an unnamed small town and a sea, an unnamed sea that, “in a way, had been a neighbour” to that small town. That sea was “almost a living thing; restless, sleepless and famous for its mood swings.” At the heart of this story set in a small town by a sea is a young boy on the throes of adolescence and a family crisis. His father – who, “[apart from eking] a living out of writing advertisements”, was also a reputed and award-winning author who wrote in English and not in his mother tongue – is dying of cancer. The boy’s family was based in a city where his author-advertising professional father used to work, a city where tracks for a new metro railway service were being laid down. But the family of four – the boy, his parents, whom he called Vappa (father) and Umma (mother), and his infant sister, whom they called Little – relocate to the seaside hometown as the father wants to die in the town where he had grown up. They rent a house named Bougainvillea on a sea-facing cliff. The boy joins a local school where he befriends a happy-go-lucky orphan named Bilal, the father attends to his treatment and meets his childhood friends, the father dies in his hometown as he had wanted, and the boy finds himself confronted with newer challenges. The Small-Town Sea is the story of a family, of the bond between a father and a son, of two friends from absolutely disparate backgrounds – and it weaves a tapestry of memories and anecdotes which are so personal and intimate that they made me wonder how much of it was real and how much imagined. The story is told through the voice of the boy who has been lifted out of his life in a big city and dropped into a small town by a sea. Salim’s last novel, The Blind Lady’s Descendants, was told in the form of a suicide note – a novel-length suicide note by the narrator, Amar Hamsa. The Small-Town Sea is told by the boy, first, in the prologue, in the form of a cover letter addressed to a literary agent based in London who had declined to represent the boy’s father, and then, as a novel written in the form of a casual letter to – or just a conversation with – that same London-based literary agent. For Salim works in an advertising agency in Kochi – a seaside city in the state of Kerala where the metro rail service was opened to general public just a few days ago – but his roots are in scenic Varkala, a small town, a beach destination on the Arabian Sea a little north of Thiruvananthapuram, the capital city of Kerala. In the Acknowledgements, Salim thanks his son Omar, “whose voice [he] secretly borrowed to tell this story”. Salim dedicates this novel to Adah, his daughter, who was born a couple years ago. And the difference in the ages of the boy – the narrator of The Small-Town Sea – and of Little is remarkably close to Salim’s real life. 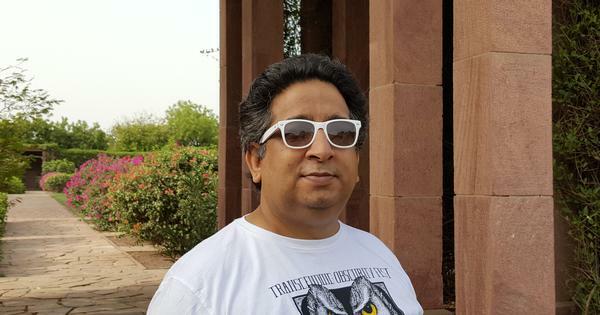 Salim’s struggles with literary agents based in the UK and the USA before the Delhi-based Kanishka Gupta got him immediate, back-to-back deals on his first four novels has now become a minor legend. The similarities between Salim’s own life and the lives of his characters in this novel are obvious. 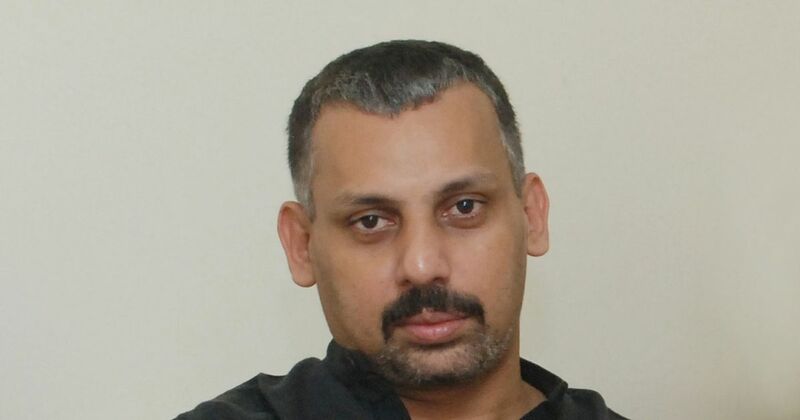 As a resident of Kerala and a native Malayalam speaker, Salim could have written his books in Malayalam, but he chose to write in English. And the politics of language and how differently Indian authors whose first language is not English but who choose to write in it are seen in the vernacular language media in India is revealed right at the beginning of the novel. Didn’t he contribute enough to literature to have his death reported on the front page? But hadn’t much water flowed under the literary bridge since he won that prize? Would the fact that he wrote in English and not in his mother tongue make the local newspapers push the news of his passing to an inner page? The dying father wished to die in his hometown. That was a wish that could be fulfilled. But how could one influence the obituaries that would appear in vernacular language newspapers after his death? Was it just a dying author’s wish in a novel, or is it a wish embedded somewhere deep inside Salim’s own being? Does writing in English and not in Malayalam affect Salim’s own life in some way? The happiness that vernacular language newspapers cannot give the dying author comes, as he waited for his death, from delayed fan mail. Acceptance. Perhaps that is all most writers want. Acceptance and acknowledgement of their work – no matter which language it might be in. Yet, despite everything, there is a little something more that every person – and not only a writer – yearns for. Is it so easy to achieve that little something? Salim’s engagement with memories and the way memories return to the boy’s mind is worth a mention. After moving home, “each room he entered seemed to have memories instead of furniture”. As long as the father is alive, he is seen as a man who doesn’t speak much, even to his son, and has certain wishes that might not be fulfilled. Yet, in an emotional scene set in a “secret beach” that the boy discovers, it turns out to be the boy whom the father has pinned all his hopes upon. After his death, the father wishes to see the boy hold the family together. When the boy takes a boat ride into the sea, the father is afraid. On their way home from the secret beach, the father asks the boy to not walk alongside him. There was a whole family of mannequins in the shop window. A family of four, just like us if Vappa had still been around – a couple, a boy and a little girl with twin ponytails…I always wondered how this family could have ended up in, of all places, this small town. They must have travelled in trucks from far-off cities, or in the brake van of a long-distance train, or even in a cargo ship from a neighbouring country. They probably did not travel together, did not even know each other until they were put in a shop window and ordered to paint the picture of a happy family. The boy’s family does not seem happy. It is understood that it is difficult to be happy when a loved one is suffering from a terminal illness. And there is more sadness and heartbreak the boy and his mother have to face after the death of the father. Is it possible to gauge the depths of Anees Salim’s sadness for being able to write two devastating yet devastatingly beautiful novels in a row? No, it is not for me to do that. Nor is it my job to measure how many pages in The Small-Town Sea are a reflection of Salim’s own life, what hopes and insecurities he harbours in his heart. It is also not possible for me to order my sadness to be Anees Salimesque. All I can ask is that if sadness were as beautiful as it is in The Small-Town Sea, I would like to be a character in a novel by Anees Salim. 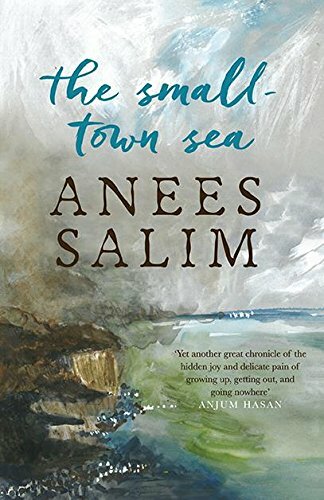 The Small-Town Sea, Anees Salim, Penguin Random House.